Our country was founded on organic farming and gardening (chemical fertilizers and pesticides weren’t invented until the early 1900s). 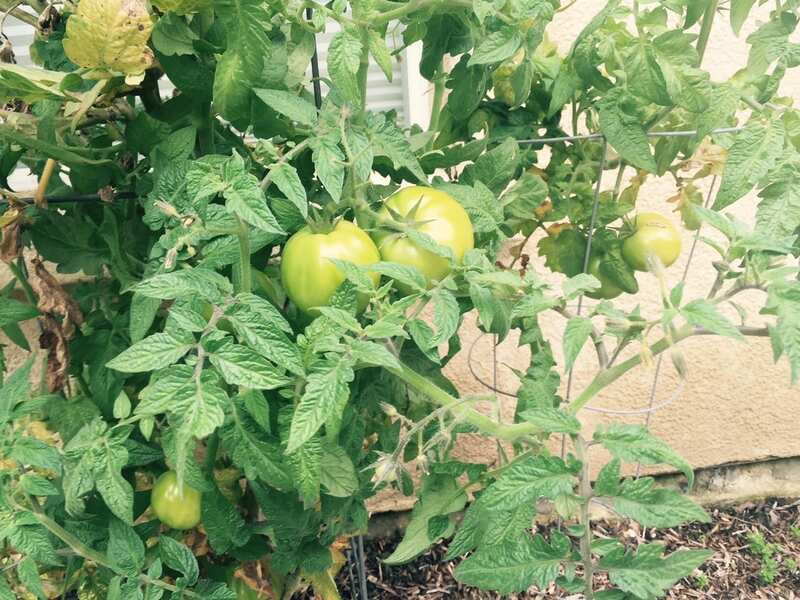 These days, organic gardening is pursued by many home gardeners as a way to reduce toxicity in their gardens and food supply. Unfortunately, gardening with strictly organic inputs can be challenging. Consider all the inputs: soils, soil amendments like compost or manure, seeds or transplants, fertilizers, and pest control methods. Success depends on the ability to be patient and consistent over a long period of time. Often, gardeners end up straying from pure organic gardening with one or more of these inputs due to cost or convenience. Chemical fertilizers are cheap and very bioavailable to plants, that is what most commercial farms now use. Farmers are beginning to realize that the more these chemical fertilizers are used, a dependency develops. Over time, these chemicals destroy the biotic ecosystem in the soil, in part because they are not carried in organic matter. This renders the soil unable to support and host beneficial microorganisms, such as bacteria, fungi and even earthworms. Once organic matter is depleted and the organisms are gone, the soil loses its natural availability to hold and convert nutrients, requiring more chemical fertilizer than before, even to a point of diminishing crop yields. If you are using chemical fertilizers, add organic matter to support microbial life and help fertilizer uptake. 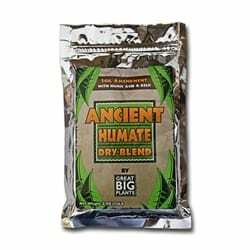 Improves soil texture and boosts microbial activity. 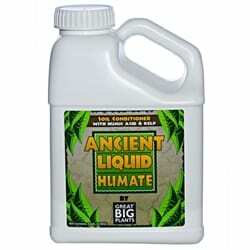 Provides 12% humic acids and kelp to boost microbe activity and improve nutrient uptake. Conversely, the greatest challenge faced by organic growers is nutrient availability at the right time in the plant’s growth cycle. Nutrients in chemical fertilizers are bioavailable to plants sooner while organic fertilizers have a delayed effect due to their need for natural decomposition. Chemical fertilizers are leached away from the root zone faster, while organic fertilizers stay in the root zone longer. So the trick is to use organic fertilizer and have it be bioavailable for the plants soon enough. This requires a healthy root zone that hosts and feeds a thriving population of microorganisms. 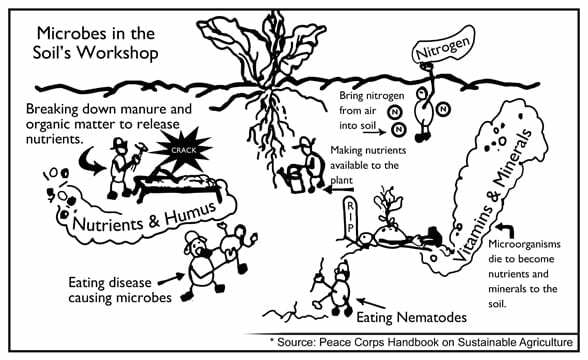 The key to a thriving microbial population is organic matter that will provide a carbon source and trace amounts of nutrients for conversion, appropriate moisture and a sufficiently aerated root zone for oxygen to be available. We also recommend kelp as a microbe food source and trace minerals to broaden the range of nutrients available to the soil food web and plants.